I was contacted recently by Ståle Brokvam, Head of IT, who is currently teaching a SUNY masters module at International School Manila to a group of 25 teachers from Pre-school to HS. The request in his email, "Many of our teachers have really appreciated forming connections outside school through blogging, and are keen to find ways to take this further. Some have used Ning sites for collaboration between classes, but no one has yet tried their hands on collaboration with multiple other schools. I figure it would be best to learn about your exciting projects by hearing it from one of the original project creators." "Collaboration: the concept, power and magic". Q - How is the big picture achieved i.e. having students understand/appreciate the value of flattening the classroom and moving away from valuing grades. A - The big picture needs a whole school approach, including the wider parent community. Students are concerned about grades because that is what they have been told is most important, and in some cases they are. However to realise a holistic curriculum and to foster a dynamic curriculum environment it is important to discuss what an actual flat classroom really is and looks like, and then look at how assessment models may need to change. In reality I find the students are quick to embrace flat classroom ideals, connecting and collaborating with others not in their immediate vicinity, sharing their work with the world and expecting global responses as well as responding globally, interacting with subject experts and peer reviewers etc. It is the teachers and administrators and parents who lack essential understanding of how this can transform the classroom itself, and due to that lack of understanding continue to use out-dated assessment methods. Grades are important, however, what are we actually testing? In a flat classroom we should be 'testing' the ability to find information, synthesise it and use it to create something new, we should be 'testing' 21st century skills. A - There are many excellent examples out there including Life 'round here, the Monster project..... I suggest you look at the work of award winning kindergarten teacher, Maria Knee, and her blog as a window to her classroom. There is also the of database of projects started by Lucy Gray from Global Education. Our Flat Classrooms Ning also has a Primary group where you can find other educators with similar ideas. Essentially, running a collaborative project with younger students is not different to running one with older students, you still need to set up the tools, establish a timeline and common objectives, including assessment criteria if required. Q - Have there ever been problems where there are too many people collaborating, how do you filter the information? A - Well, in a wiki authoring environment there can be 'too many' working on the same wiki causing issues with simultaneous editing (not a good idea due to technical issues). However, the best way to monitor and filter information from students working on a Ning, Blog and a wiki is to use RSS and feed areas into your reader. This allows you to 'catch' inappropriate content early and also helps you to stay in touch with daily updates etc. Q - What skills do students get from these projects that will be relevant long after school is done? (five, ten, twenty years from now). How are they being equipped for the future? A - These collaborative and global projects are teaching real-world skills that are essential for survival post-secondary school. Skills such as communication (read the chapter in Gladwells, Outliers, about how lack of skill in communication can have serious consequences), how to be a reliable and responsible online learner, enhanced cultural understanding and sensitivity to the lives of people in other countries, how to interact appropriately with others asynchronously and synchronously......and more! A student who has completed a Flat Classroom Project has a lot to write about on a college application, and on a job application as their experiences in learning, in problem solving, in using IT tools are far more advanced. In terms of the future, exposure to different ideas, different cultures and lifestyles can only build a stronger knowledge base from which to make life decisions. Q - How long does it take to plan a project? A - Right now we are planning 2 new projects for the final 10 weeks of the northern academic year, Digiteen 09-2 and Flat Classroom 09-2. Starting with requests for applications, setting up the wiki and determining the project structure, online teacher meetings, and many discussions, signing students up to teams etc.....about 3-4 weeks. Q - Do you find you run out of teaching time or are you able to maintain your schedule because of kids taking initiative to complete their projects in their own time with their e-partners? A - Well, when I am in the classroom running a 'flat classroom' style of project there is an expectation that the project work does not stop when the bell rings. Students are expected to continue to interact and keep the project moving in their own time. Learning can not be designated to a 1-hour time slot each day. 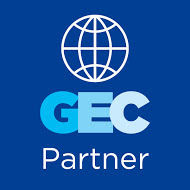 A global project means that students are online and offline at all times of the day, and there are often opportunities for real-time connections as well during the evenings. Q - What kind of support is given to students with learning difficulties? A - OK, this is a sensitive one, but my colleague, Vicki Davis and I strongly believe offering choices to students in how and when they learn and especially choices in how they show what they have learned through differentiated outcomes. our projects are multimedia rich, and provide opportunities for students to write, to provide audio files (podcasts) to create video and screencasts etc. These are not one-size fits all projects, flat classrooms are not one-size fits all, they are open to student choices for learning. Q - How much time is spent on developing appropriate online behaviours (intraclassroom and intraschool) before students are ready to go global? A - This is a good question also, as there is always concern that students do not know how to behave and could cause problems that reflect badly on the project. We encourage teachers to spend time developing digital citizenship skills, in fact our Digiteen project does that as well, and we use it here at Qatar Academy as a pre-runner to the Flat Classroom project. The really important idea to stress is that being part of a collaborative global project is a professional requirement and teachers must be role-models for the students in a professional way. We are talking about 'educational networking' not 'social networking' as such. The tools such as Ning provide for a 'FaceBook' style environment, but this is not FB, it is a professional association with students, teachers and adults in other countries. Therefore text-speak is not a good idea (culturally this can be misinterpreted also), inappropriate images and discussion about weekend parties etc etc are not appropriate. Students need experience at creating an online profile, writing a professional blog post, commenting on other profiles and blog posts and this may take some time within the class and school to foster. The idea is to start as young as possible. Online profiles and avatars can be created in Primary school, as can blogs and wiki digital portfolios. ....the younger the better. The importance of having a professional digital footprint needs to become a school ethos, and part of the curriculum. Q - How do you deal with a complacent student - is this easy to monitor? A - A student who is not engaged is easy to monitor online because there is usually nothing there to see! On the Ning, on the wiki it is very easy to monitor all student activity through individual profiles, through wiki history and tab discussions. If the student is not engaged and does not contribute or respond, there will be nothing worthwhile posted online....this also makes it very easy for assessment purposes. Q - Do you ever encounter technical difficulties? A - Yes! We are not in a perfect world, and working globally with different classrooms, we see and experience the pain of others as they try to make the technology work as well to be able to complete project requirements. once again this all depends on what the project is and the technical level for completing it. For example the Flat Classroom Project requires outsourced video to be uploaded to the ning, downloaded by the individual and then inserted into their final multimedia piece and the end product uploaded to the Ning again (via YouTube if preferred), many other projects to not have such a high-tech approach. The week all multimedia is due is when the real tech issues emerge....often these are network related, easily solved by having an IT Manager on side. Q - What is the optimum time-frame for a project like this, before students and teachers lose interest? A - This is an interesting question....I don't think the lack of interest in a 'flat classroom' is the point here, in fact the ideal is to flatten the classroom permanently and have a succession of projects and objectives and interactions, as many teachers are now doing around the world. However, maintaining energy levels and motivation for completing a 'Flat Classroom' style of project we currently plan on 8-10 weeks. Q - What curriculum areas and subjects can take on a flat classroom project? Thanks Ståle for the opportunity to speak to teachers at ISM and to gather my thoughts into this blog post. I hope this helps move your teachers closer to becoming flat classrooms. 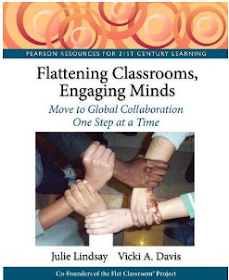 What questions do you have about flattening your classroom? 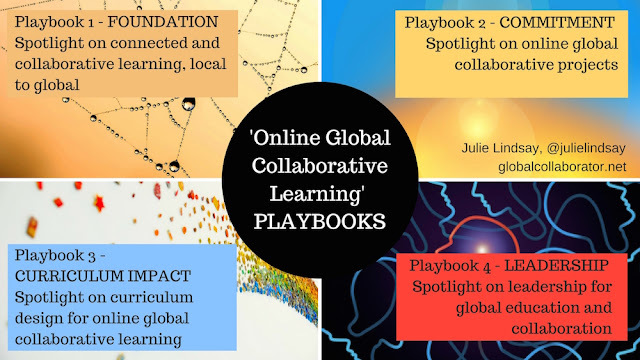 What questions do you have about global collaborative projects? This is a really comprehensive post covering so many of the elements of flattening the classroom. 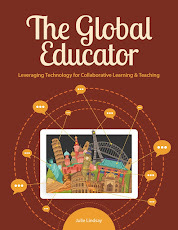 I find it is really good for someone else to query me about the activities that I am involved in, as it does give an opportunity for consolidation and reflection and highlights the amazing outcomes that the flatclassroom or other global connections bring. Another good global project ning for younger students is http://projectsbyjen.ning.com as these are often quick, simple projects with the opportunity to gain global connections of an ongoing nature. The http://es1001tales2009.wikispaces.com and http://ms1001tales.wikispaces.com are two other projects that we like being involved in. As we live in a small rural community, our parents are so supportive of the work that we are doing with global projects and flatclassrooms. One parent (of primary school students), who we were really careful in our approach with at a parent/teacher information session last year as we knew that they were quite negative about our involvement in technology and should be concentrating on literacy and numeracy, came to me last week and thanked me for what we were doing and congratulated us on our achievements. Our students are learning digital communication and literacy skills, coupled with digital citizenship protocol, an absolute necessity in their future working life. They learn first hand from others in other countries about culture, geography, experiences etc and make lifelong friendships. 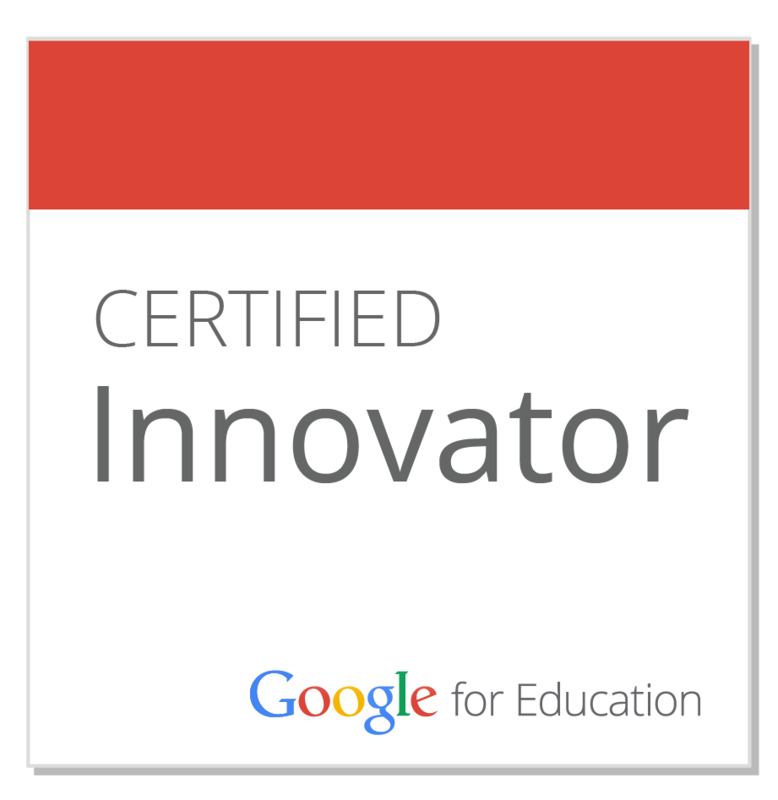 Any subject can take on global projects and I would encourage any who read this post, to take on this amazing opportunity that now presents itself to educators in a digital world. Thanks Anne for sharing other great projects and links and your own experiences. Yes, Jennifer Wagner is a key person in projects for K-6, and 1001 tales has opportunities for ES and MS! What an outstanding post Julie,the experience that you have having been involved in many online collaboartive projects shines through your advice. Thanks Terry, I have continued the conversation as a comment to your blog post. Paul, thanks for dropping by and I appreciate your support. Hi Julie, I've shared the link with the course participants, and there's lots here to consider. For us, this is especially timely since our school is in the process of a comprehensive curriculum review and now is a good time to consider some bold new initiatives. Thank you for generously giving of your time to talk to us and share your expertise and experience.